Good readers employ strategies before, during, and after reading that help them comprehend text. As I mentioned in my last post “Causes of reading comprehension difficulties,” struggling readers do not understand why they have difficulty comprehending. There is however, no definitive set of strategies for remediation of reading comprehension difficulties and identification of where comprehension is breaking down will assist in employing the correct strategy to facilitate Reading Comprehension. One of the most important aspects of facilitating Reading Comprehension is reading fluency. A child should be able to recognize at least 90 percent of the words without any help. Stopping any more often than that to try and decode a word makes it difficult to focus on the overall meaning of the story. The child is engaged in enrichment activities prior to reading the passage. In this way, students have the opportunity to activate and enhance existing knowledge before reading. Pre-teaching vocabulary words will also enhance comprehension. From a very young age, most children are exposed to story books. These fictional texts (narratives) share a common, predictable structure called story grammar. This predictable structure enhances students’ comprehension whether they listen to the narrative or read it themselves. 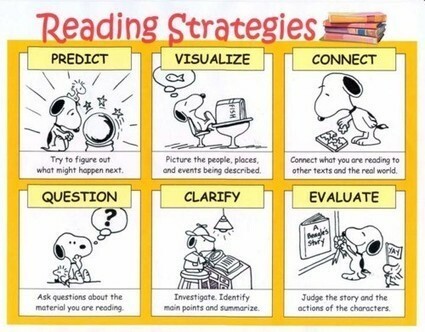 Improve Reading Comprehension by providing a framework for learning and remembering information. Teaching story grammar structure emphasizes the importance of metacognitive or active reading strategies to improve comprehension. It directs students’ attention on story structure by teaching them to ask five “wh” questions about the settings and episodes of the story. Encourage the child to preview comprehension questions. This will allow the child to focus on answering those questions as they read. By the end of Grade two a child should be able to read approximately 90 words a minute. Rereading familiar, simple books gives your child practice at decoding words quickly and facilitates fluency. The optimal number of readings has been found to be four. Graphic organizers, which provide a visual map for the reader, can be placed next to the text as learners read in groups or individually, aloud or silently. They are particularly useful in helping readers to understand the structure of a narrative or of an argument. Graphic organizers also assist in encouraging visualization of information which also assists with comprehension. Increase correct answers to reading comprehension questions by considering both the text and the background knowledge. The question-answer relationships strategy helps students label the type of questions that are asked and to use this information to develop their answers. Words used to create the question and words used for the answer are Right There in the same sentence. The answer is in the text, but words used to create the question and those used for an appropriate answer would not be in the same sentence. They come from different parts of the text. Based on the questions, it is important to encourage the child to think about what they know and make predictions based on what they know and what they have read. By generating questions, students become aware of whether they can answer the questions and if they understand what they are reading. Students learn to ask themselves questions that require them to combine information from different segments of text. For example, students can be taught to ask main idea questions that relate to important information in a text. Improve Reading Comprehension by retelling a story to partners, using outlines. By retelling students relate information from the story to their own experiences. In this way, they improve their reading comprehension and memory of story information. Explicit teaching of comprehension strategies can be an effective intervention for these difficulties and impact significantly on later academic success.